Advance Keylogger Utility enables you to know everything going on your computer. Software easily records system activities including time setting modification, system sounds, clipboard activities etc in stealth mode. Software also informs PC owner about overall internet activities including Surfed sites, Typed URLs, Search history, Voice chat conversation, Instant Messages (using MSN chat, Yahoo, Google, Gmail, ICQ, AOL etc popular chat sites) in total stealth mode. Invisible Keylogger silently run in your machine so that other users cannot suspect if their activities are being monitored secretly. 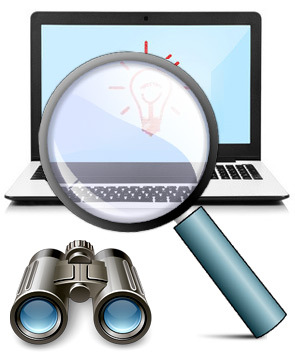 Utility is equipped with screen shots capturing feature that takes screenshots of accessed applications (including MS office tools, Calculator, PC games, Paint, Search engine searches and any other software package that you have run on your PC) being used by other users on your PC. 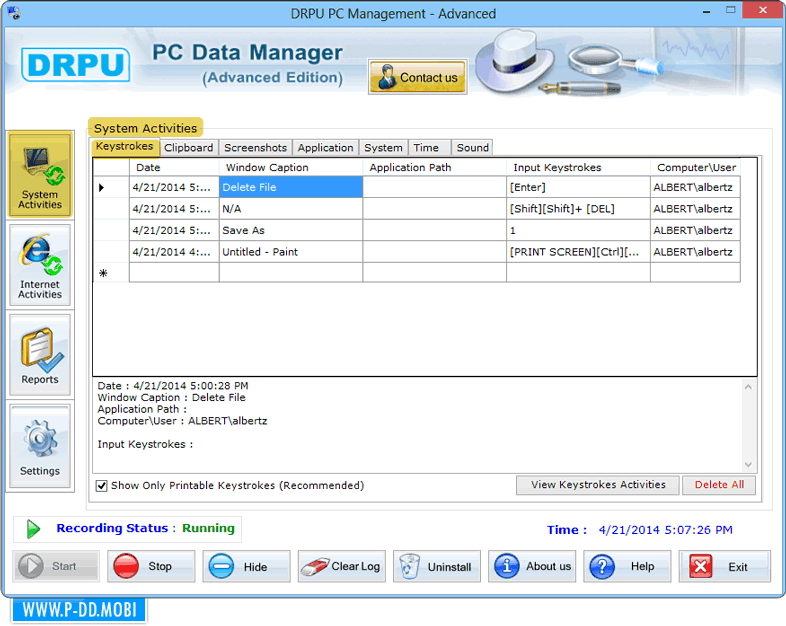 Advance Keylogger also provides the slide show facility so that PC owner may know which applications were accessed in which order. Key logger secretly captures overall keyboard typed keystrokes activities. Keeps track of clipboard activities (copy paste operations). Easily records system startup time. Notify modification done in system time settings. Facilitates to record system sound activities and voice chat conversations details. Capable to record Windows caption of accessed applications. Record overall internet activities including visited websites, typed URLs, instant messaging etc. Capture windows screenshots of activities in the order in which they are accessed.